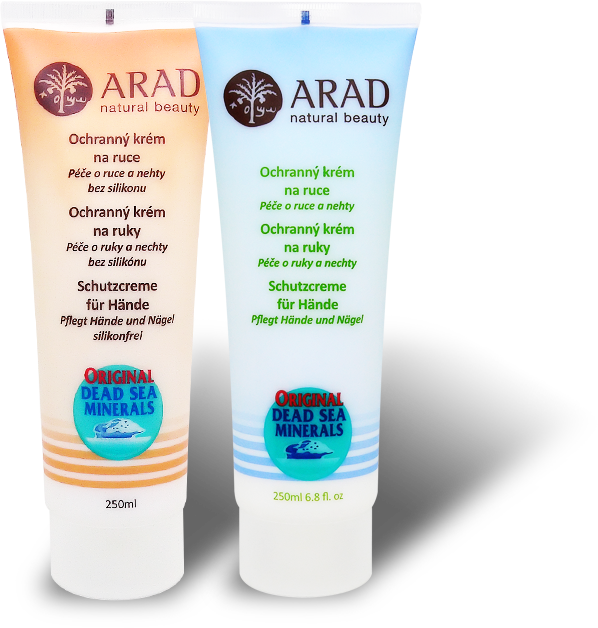 ARAD protective cream is especially suitable for hand and nail care, but it can be applied anywhere on the body, except around the eyes. Apply a small amount of the cream to clean and dry skin, spreading it all over the hands, between the fingers and on the nails until you feel the cream is sufficiently absorbed. Depending on the type of work activity, ARAD protective cream can be applied both before work to protect the skin and after it for its regenerative function.